This section shows the total number of credits earned by year. It sums all tests passed for States, Associations and the ABO/NCLE. States have different CE requirements. Please ensure that the number of tests taken in any category will meet your State's requirements. CE's are approved by ABO/NCLE for credit and assigned a lesson number and approval code. Jobson is also an approved provider of online CE for Ohio and New York State through their respective opticians associations. Please visit the Opticians Association of Ohio (www.oao.org) or the New York State Society of Opticians (www.nysso.org) for the currenct CE offerings. Participants review test content either online or in the magazine, complete the test and submit the test to Jobson either online or by mail (a test answer sheet is provided at the end of each print course). Exam answers received online are graded electronically and results are returned immediately to the participant. Successful passes for online courses are recorded in an electronic file that is sent monthly to the ABO/NCLE to update participant's course credit files. It is no longer necessary for you to receive and mail a Continuing Education Certificate when you participate online. Exam answers received on a printed answer sheet are graded electronically in our database and scored automatically. Successful passes for online courses are recorded in an electronic file that is sent monthly to the ABO/NCLE to update participant's course credit files. It is no longer necessary for you to receive and mail a Continuing Education Certificate when you participate online. Participants are allowed two tries to successfully complete a test. A passing score of 80% is required. Successful passes (online or print) are electronically recorded into each participant's account for their review. You can access your test history at any time by logging in at 2020mag.com. The state and national associations make it possible for you to receive State approved CE credits. Your membership ensures their continued availability. Please become a member of your state or national association. Visit the state association website to view and log in to the list of approved courses. Review the test content online, complete the test and submit the test online. Tests are graded electronically and results are returned immediately to the participant. Ohio and CE Certificates can also be printed directly or from your account at anytime. It is your responsibility to mail a copy of your certificate with your state renewal for recertification. Jobson does not mail certificates to Ohio or NYS. Can I print the course from the web site and submit the exam later on? Does the web site keep a log of the exams that I submit? How do I take a CE Exam? Who can I contact if I have a question about online CE at 20/20? For State CE certificates, can I print my own copy of the CEC for submission to my State for renewal? To login to the 20/20 CE site, you must first register. You can also If you are a new participant, please click the "New User" button in the "My Account" box on the CE page. The 20/20 CE site allows users to choose their own user name and password during the registration process. If you are a returning user and have forgotten your password click on the "Forgotten Your Password?" link in the "My Account" box. 2. Am I able to change my personal information online? You may view the personal information we have for you by clicking the "My CE Profile" link in the "My Account" box on the CE page after you have logged on. The information we have for you in our database will appear. Please make the appropriate changes to your profile. Your record will be updated instantly. 3. Can I print the course from the web site and submit the exam later on? Yes. Select the course you are interested in by clicking on its title. Click on “View Questions” and print a copy using your computer’s print function. Review the CE content, review the questions and choose the best answer for each question. When ready, log onto your account, select the CE and take the exam on-line. 4. Does the web site keep a log of the exams that I submit? Yes. To view your record, log in to the site as directed on the top of the home page by entering your user name and password. From the “My Account” box; click on the "My Test History" link. Your history will show the date of participation, the course title, the course provider, the exam result, and the number of credits earned for each online exam you participated in. You may print a copy of your history of courses completed online. This is a great way to manage your CE requirements throughout the year and is especially useful at license renewal time. 5. How do I take a CE Exam? You can access the available courses several ways. 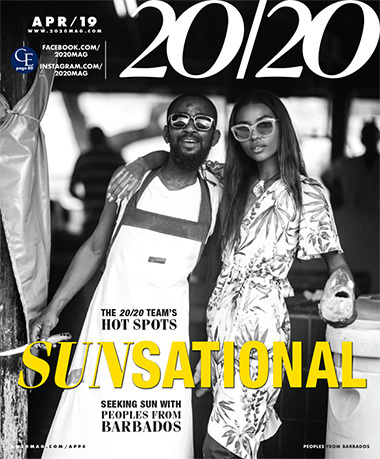 The courses debuting each month will be located on the 2020mag.com home page as well as the CE page. Select the course of interest by clicking on its title. A preamble page will appear including the issue date, expiration date, learning objectives, and sponsorship/accreditation information, and disclosures, followed by the full article. Either print the course to read by clicking on the Print button or read it directly from your screen. When you are ready to submit answers to the exam, click on Take Test at the top or bottom of the course. If you have not already logged onto the site, you will be asked for your login information. If payment is required for a course, a credit card payment page will appear for your completion. Select a method of payment to participate in our online CE programs. Once payment is received, the exam will appear. Answer the questions by clicking on your selected choice for each question, then, proceed to the next question. We recommend that you print a copy of your answers before you submit them to us. Once completed, click on Submit Exam at the bottom of the page. Your exam will automatically be graded. If you successfully complete the exam (score of 80% or higher), your name, course completed and the number of units will be forwarded electronically to ABO/NCLE. If you receive a score of less than 80%, you will receive a message notifying you that you did not pass the exam. You may retake the exam once. NOTE: If you do not pass the exam on the second attempt, you may not participate in the exam again. 6. Who can I contact if I have a question about online CE at 20/20? 7. For State CE certificates, can I print my own copy of the CEC for submission to my State for renewal? For State CE Certificates log into your account online at 2020mag.com. Duplicate certificates can be printed at any time for courses passed successfully.